DocVerify offers a simple and intuitive user experience to securely sign and send documents with just a few clicks in minutes. Now you can electronically sign a document from anywhere on any device. DocVerify helps you accelerate sales, reduce costs, and automate the entire process of document signing. Integrate it into your business tools such as salesforce to enable your employees and customers. DocVerify protects your documents, confidential information and electronic signatures by encrypting with highest level of security. All documents are certified upon signature and legally enforceable. DocVerify is by far the most affordable cloud based eSignature solution yet robust with flexible features to make it simple and fast. Designed to sign, send and archive documents at a fraction of the cost with paper. Signers receive an email. They can review and sign the document on any device in just seconds. Signatures are secure, certified and legal. Done! eSigned documents are securely saved and sender is notified when the document is complete. Documents are readily available online. Signing paper documents involves printing, signing, scanning and possibly shipping. It's cumbersome and time-consuming. Get documents signed up to 20 times faster and increase efficiency by 90% with DocVerify. Besides saving on cost of paper and other expensive factors such as printing, scanning, distributing, storage and disposal; DocVerify's pricing is lower than any other available solution in the market up to 70% less. DocVerify's proprietary Easy Sign System add-on allows your signers to instantly sign documents directly from your own website without having to leave the page. The Easy Sign System works with any website and requires little HTML or programming knowledge to implement. It works inside any secure IFrame, giving you full control to embed it anywhere within your websites or add it anywhere within the workflow of your website. You can even control the look and feel. DocVerify's proprietary Webhook System add-on allows for user-defined callbacks over HTTP or HTTPS which operates by pushing data in real time with a simple GET or a POST directly to any URL the moment a signer creates a new signature document, views a signature document or signs a document, once the document has completed the signature process. Our e-signature solutions can integrate seamlessly with the Wufoo form builder, enabling sites (and administrators) to easily collect relevant form data and insert it into DocVerify library documents. In just a few steps, you can map Wufoo form fields to information in your legal documents. With the document populated, DocVerify initiates the e-signature process invisibly to the user. DocVerify has partnered with SalesForce.com to offer a complete E-Signature solution designed to streamline businesses processes, decrease turnaround times for paperwork, and increase your sales numbers using SalesForce.com. DocVerify's InstaForm allows you to instantly have any person sign documents online quickly from your site or even from a link inside your email with one simple click. It's great for NDA's, consent forms, agreements, or any other type of document requiring the person to sign where you want the signer to initiate it. DocVerify Electronic Notary platform allows notorial acts to be completed electronically without any paper either in-person or remote. It serves as a powerful form of authentication for documents that require a notary. Commissioned notary publics can easily use DocVerify to electronically notarize documents for their clients in states that allow them or use DocVerify's powerful electronic journal system instead of their paper based journals. Individuals or businesses can directly contact notaries in the DocVerify system to have documents electronically notarized for them. DocVerify is a member of the Notary Trust Registry, and your e-Notarized documents are also automatically registered with the Notary Trust Registry for you ensuring trust. Best of all... No additional hardware or software required. Electronic Notary solution from DocVerify streamlines the workflow for notarizing documents and securely storing notary journal entries. All parties involved - notary and the participants use one central system to manage the whole process to get a document signed and notarized. Enables you to focus on growing your business. DocVerify's robust e-notary features highest level of security and tamper evident technologies to help you minimize certain types of liabilities that can potentially result into legal disputes. It will provide you with the proof you need when you need it most. Don't be a victim of frivolous lawsuits. 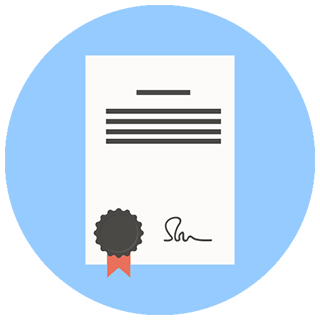 DocVerify's e-notary is legally binding in states that allow electronic notaries, such as: Arizona, Arkansas, California, Colorado, Delaware, Florida, Idaho, Indiana, Iowa, Kansas , Maryland, Minnesota, Montana, Nebraska, Nevada, Ohio, Oregon, New Mexico, New York, North Carolina, Pennsylvania, Rhode Island, Texas, Utah, Virginia, Washington, West Virginia, and Wisconsin. Some states such as Virginia will even allow you to remotely notarize documents from a web cam.